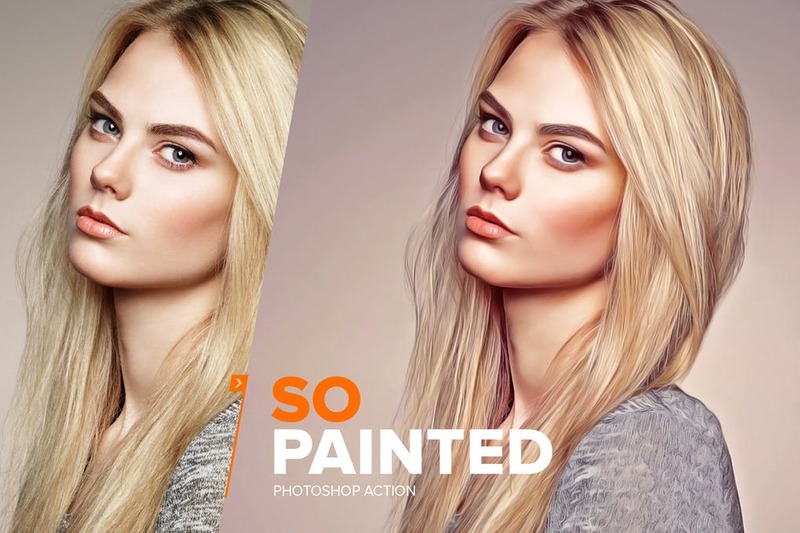 SoPainted Photoshop Action, Create a realistic smudge painting effect in just 1 click! Just open your photo, click a play button, then your photo will be painted automatically in just a few minutes! 6 painting levels are ready to use on a wide range of photo dimensions. You also have 15 color styles to beautify your work. Moreover, this action also create a set of adjustment tools that allow you to customize the look after applying the action. Easy to use. Just 1 click to paint your photo! SoPainted has been tested and successfully applied on lots of different photos without any errors on Photoshop CS3, CS4, CS5, CS6 and the latest CC (tested on English and French versions).